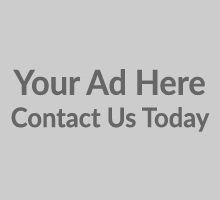 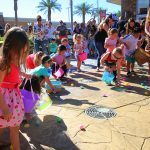 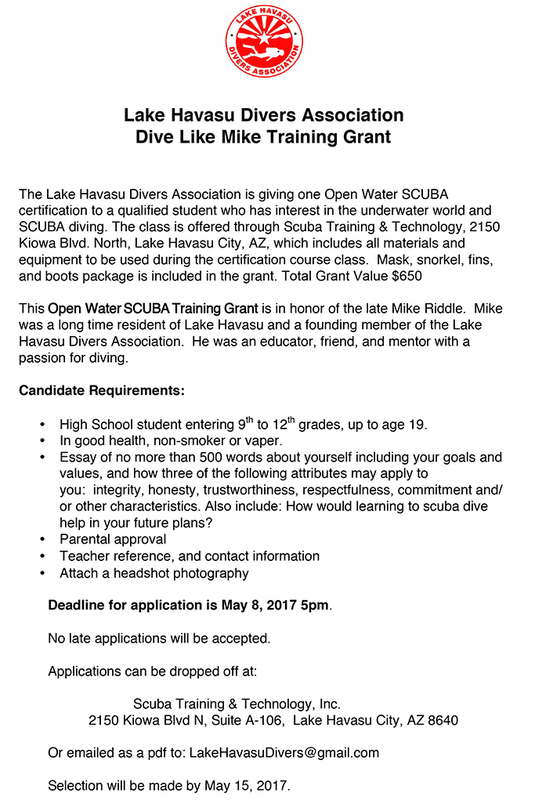 The Lake Havasu Divers Associated has extended the deadline for the “Dive Like Mike Training Grant” until Wednesday. 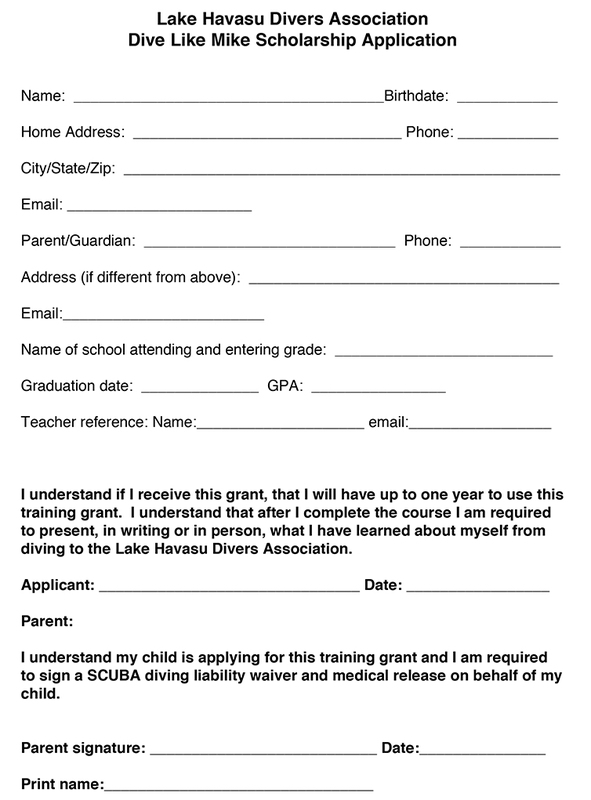 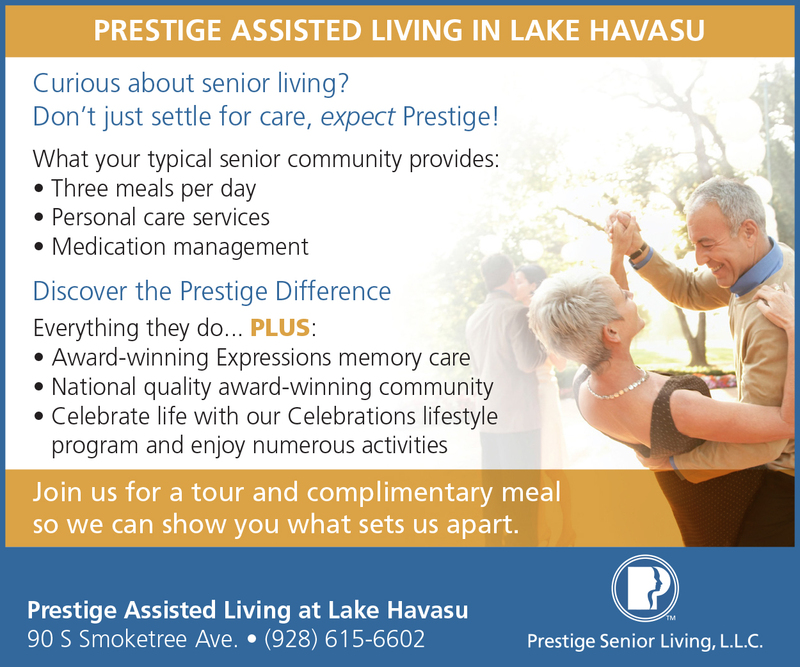 If there is a Lake Havasu teen entering high school, this is a great opportunity for them to become a certified scuba diver. 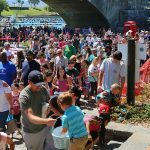 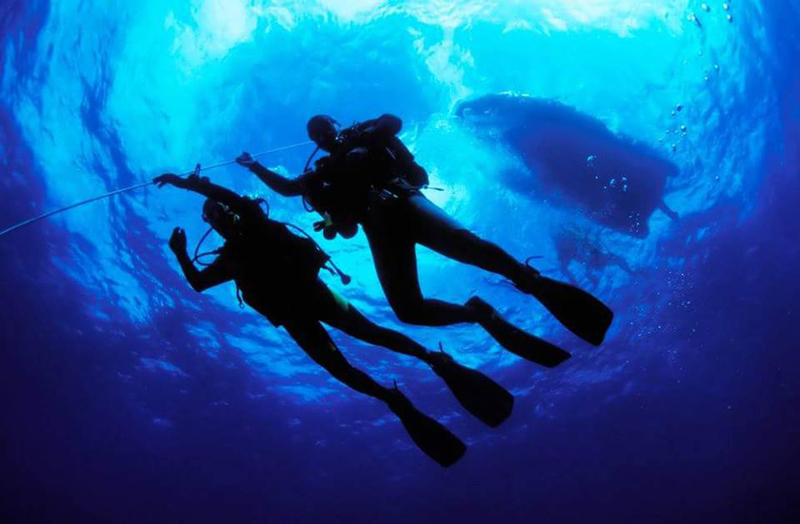 The grant is in honor of the late Mike Riddle, a longtime contributor to the city and original founding member of the divers association who lost his battle to cancer a few years ago.